Bar managers need to wear a lot of hats, but if you absolutely adore the bar industry and want to eventually own your own bar, it’s a great start. Bar managers need to be able to deal with clients and employees alike, and need a significant amount of experience. What Is a Bar Manager? A bar manager usually works directly under a bar owner or restaurant owner to manage the bar and its staff. The responsibilities of a bar manager depend on the size of the bar or restaurant as well as the amount of responsibilities the owner would prefer to maintain. Most bar managers have the eventual goal of becoming a bar owner, but not all. 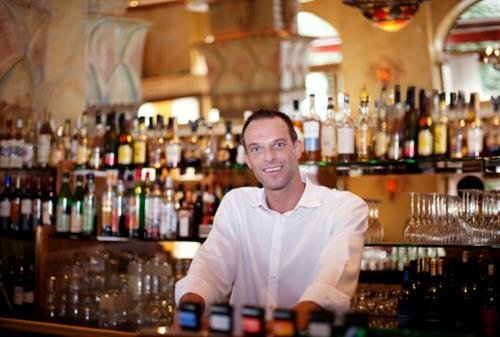 In larger bars or restaurants, a bar manager may have a single or multiple head bartenders under them. In smaller bars or restaurants, the bar manager will usually work on their own to manage employees, inventory and other day-to-day operations. Bar managers need to be extremely knowledgeable about a bar’s operations. Most bar managers have been bartenders for many years. Bar managers can also be individuals that have degrees in business or management, but experience of at least one or two years is usually necessary. Some bar managers will be responsible for the hiring of new staff members as well as the firing of staff members as is required. Bar managers have relatively good job security and many opportunities across the nation. A bar manager will often have a single shift throughout the day, but this shift may be longer than average for a head bartender or manager. Bar managers will usually either open the bar or close the bar, and they may even be on call to do both. If a bar or restaurant is large enough, they will often have a day manager and a night manager. While on shift, the bar manager will deal with any issues as they arise. They will schedule their employees as is necessary and may need to reschedule employees on short notice. Bar managers will usually be responsible for the inventory of the bar and to keep track of the money taken in. A bar manager will usually report certain information to the owner of the bar or restaurant. Bar managers have an extreme variety of responsibilities and income depending on the type of restaurant or bar they work in. Smaller bars may have a more relaxed environment than larger bars, and the most popular bars and restaurants may have significantly high rates of pay. A bar manager is almost always promoted from within the industry. The bar industry is extremely different from many other industries, sharing the most in common with the food service industry. Those that want to become a bar manager will want several years of experience in the bar industry, often has a bartender or head bartender. Some very large bars may have assistant bar managers, and this position can also be related. As noted by the Bureau of Labor Statistics, managers in this industry will make an average of about $48,130 a year. However, a bar manager can sometimes have other managerial experience such as retail management or food service management. Bar managers may need to obtain a business degree to be promoted, and they may want to attend bartending classes to become a respected bartending professional. How Do You Advance as a Bar Manager? Most bar managers have the eventual goal of becoming a bar owner, but not all. Those that are interested as advancing as a bar manager within their chosen field will need to be hired by progressively larger or more prestigious bars and establishments. There are many luxury resorts and other prestigious areas that would require a bar manager. However, most of these higher paying bar management positions will usually require years of experience within the industry as well as either an Associate’s Degree or Bachelor’s Degree in business or a related field. Bartenders may be able to replace a degree with experience if their experience is diverse and robust enough. According to O*Net Online, the field of bartending has a very bright outlook.